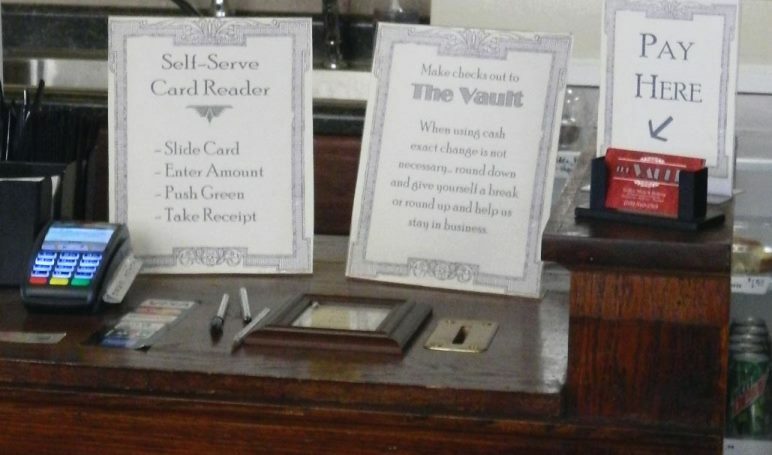 The Vault Coffee Shop and Bakery may be the world’s only unmanned self service coffee shop. Many people ask how we are not being robbed blind. A lessor factor is that we have cameras – though their primary purpose is to help provide a safe atmosphere. More important is the good will of the people of Valley City. Generally speaking the people of Valley City are more generous than dishonest. In the first seven months of being open we averaged 15% more than our asking prices. Would an honor system coffee shop work anywhere? Probably not. The good people of Valley City make it possible.